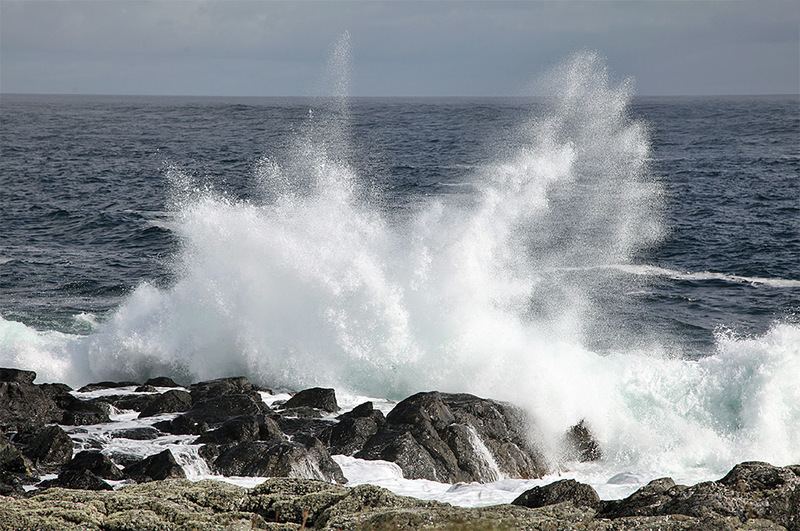 A picture courtesy of my sister Imke, a wave breaking over the rocks at Port Wemyss, sending spray high into the air. Taken in June 2013. This entry was posted in Guest Picture, Landscape, New Post, Sunny Weather and tagged Islay, Port Wemyss by Armin Grewe. Bookmark the permalink.